The work your lawn care expert carries out over the winter is some of the most important of the year. 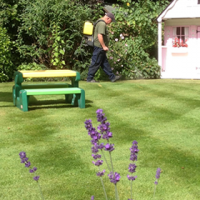 Each maintenance task and treatment application ensures that when the time comes for us to sit outside and enjoy our gardens again, your lawn is in great shape. 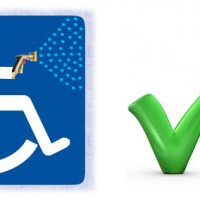 At this time of year, our work is carried out with great care and minimal disturbance. The long-term benefits are greater than if it is left. 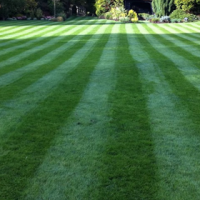 The application of our winter treatment ensures lawns emerge from winter dormancy strong, healthy and ready to grow. Applied as a liquid, an essential component is iron. Iron is a winter turf hardener which toughens the grass plant to make it resilient to harsh weather conditions, it also discourages the growth of moss. Visually it produces a dark green colour without encouraging excessive growth. The acidifying effect of iron can reduce worm cast activity, helps create a suitable environment for the growth of perennial grasses, and can prevent turf diseases and fungal attacks. The winter treatment also provides essential nutrients for root development which gives lawns improved strength and stability. Potassium, for example, strengthens the plant’s cell walls and improves its tolerance to stress from cold and disease. Treating lawns when it is wet and cold is still beneficial. When a winter feed is applied, especially one containing iron, having it drenched onto the leaf and into the soil is beneficial and rainfall can help the effectiveness of the fertiliser. The application may freeze to the leaf surface if it is cold enough, then as it thaws it gets to where it’s needed just as well. Our operatives are busy aerating lawns, which relieves compaction, allows oxygen into the root zone and enourages root growth. Carried out regularly it also improves drainage and prevents waterlogging. 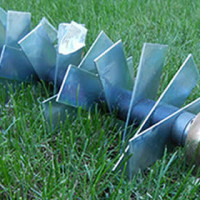 There are several different ways to aerate a lawn. 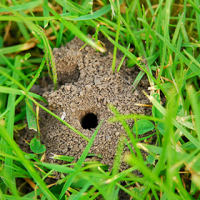 Your local Lawn Master expert can advise you on the best approach for your situation. Whenever possible, try to limit the amount of time you spend walking across the lawn. if you feed the birds daily, varying your route reduces excessive wear to one area. The odds are shortening on a white Christmas. If we get a covering of the white stuff, build snowmen on the soil or patio to ensure patches of your lawn don’t remain covered.